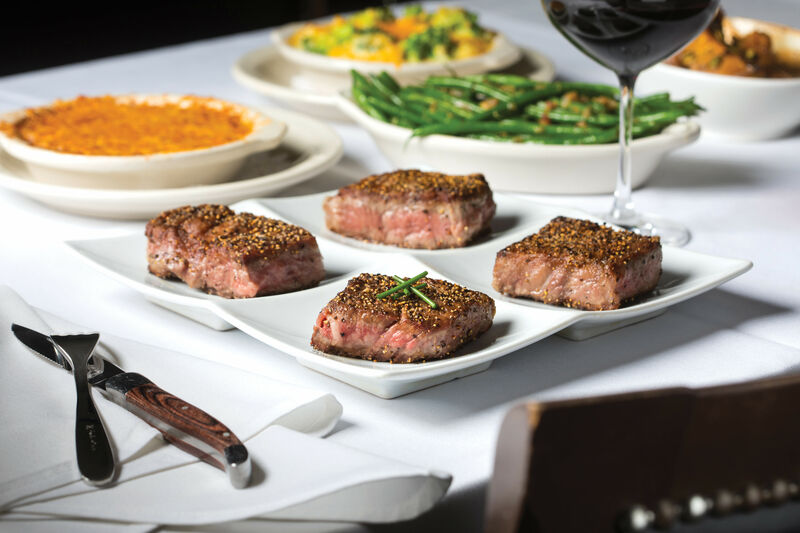 It's hard to go wrong at a steak night, but we do have our favorites. This neighborhood spot features ample outdoor seating surrounding its two bars and three beach volleyball courts. Order the peppercorn-topped 16-ounce ribeye; a baked potato with all the fixings; and vegetables that change weekly—we got fine-chopped kale, Brussels sprouts, red onion, and peppers. 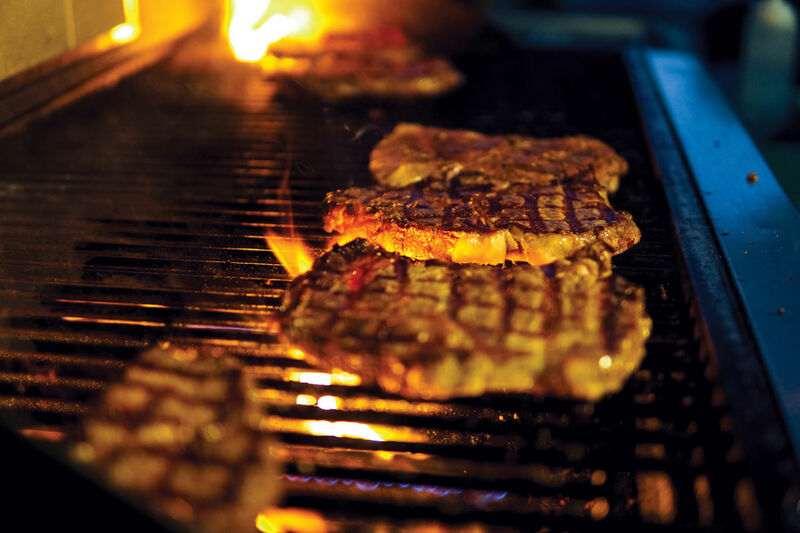 The sides are so fresh and tasty, you’ll almost forget that big honkin’ piece of beef. Wash it all down with one of several Texas draft beers on offer for just $4. Head to this lively patio bar for something a little different. 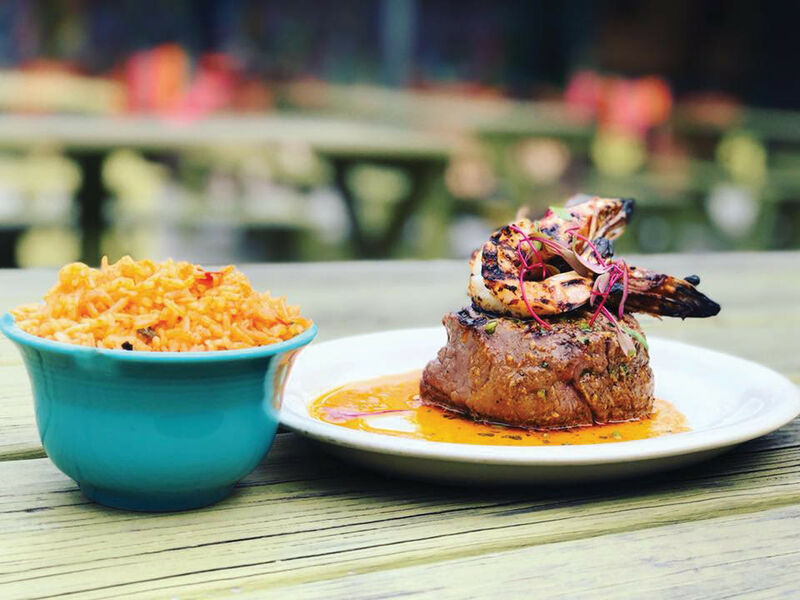 You’ll get a thick filet topped by two head-on blackened shrimp, served with wicked cilantro herb butter and a side of Mexican rice. The plate pairs well with the Carlos Danger cocktail: jalapeño-and-pineapple-infused Cazadores Blanco tequila with triple sec, lime, and agave. 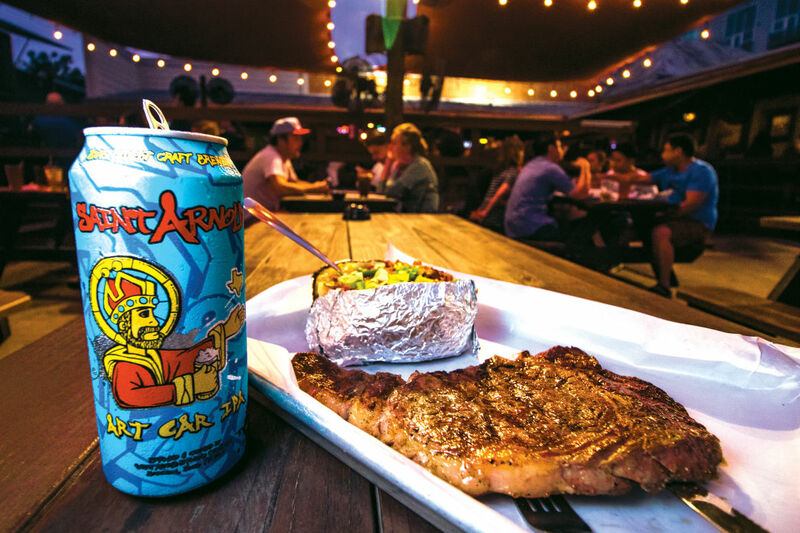 Steak, a baked potato, and a local IPA at Front Porch Pub. 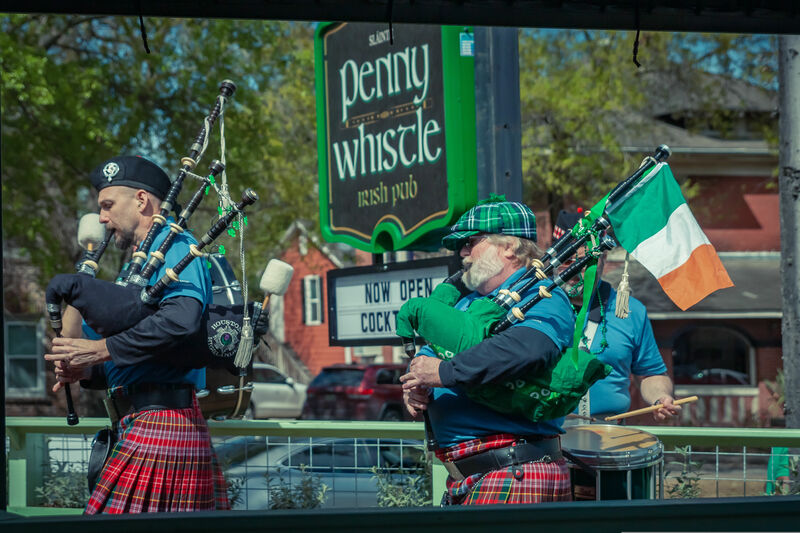 When the weather’s good and a game’s on, this spot hums with patrons lingering on the titular porch, sipping beer and enjoying a steal of a deal for dinner. 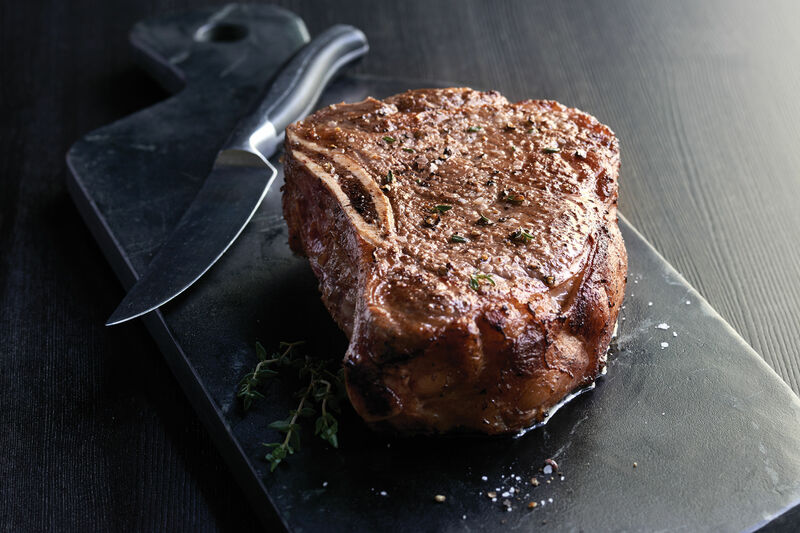 A charcoal-grilled 16-ounce ribeye comes with a loaded-to-the-gills baked potato—you could substitute a salad, but why? Both evenings also bring beer specials, and Tuesday is trivia night, making the evening a challenge for the belly and the brain. 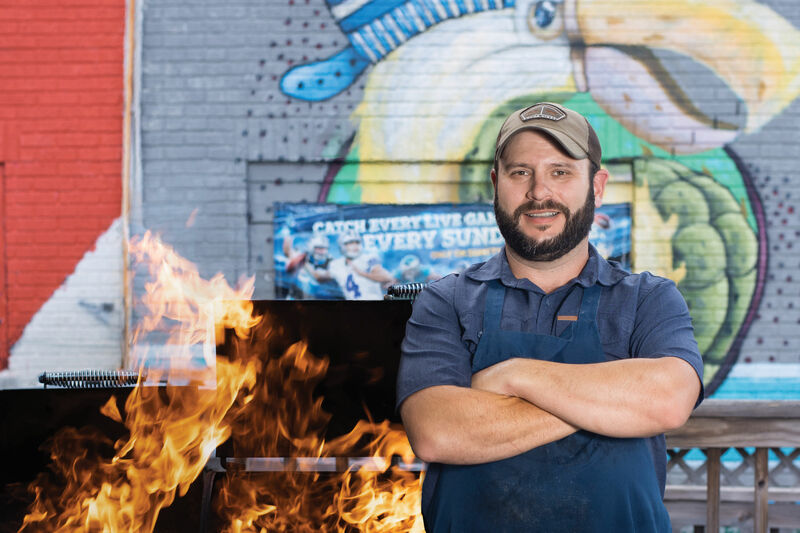 Bryan Hawes works the grill at Heights Public House. 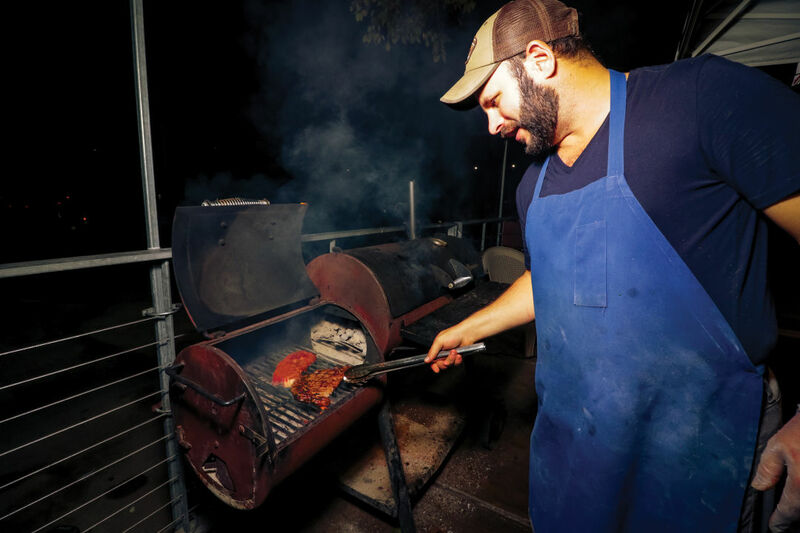 Grillmaster Bryan Hawes, a local legend (see next page), cooks outstanding ribeyes, plus pork chops, and racks of lamb. His superb jalapeño mashed potatoes make a perfect side, while three chile-forward sauces allow patrons to play around with heat. The check will be a little higher when Hawes is cooking, but the food is next-level. 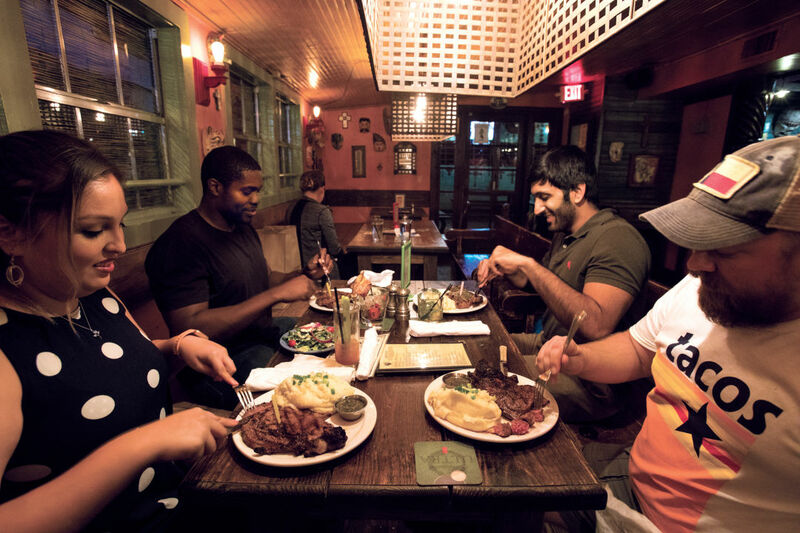 The vibe at Heights Public House is convivial, with diners crowded into booths inside, or on the lively patio. At this Día de los Muertos–inspired haunt, the fun regulars and eclectic song choices—there’s a great jukebox—are part of the colorful experience. The ever-popular, eminently affordable steak night features a delicious 16-ounce ribeye served with chimichurri sauce, fluffy garlic mashed potatoes, and a garden salad in a tangy sesame-raspberry vinaigrette—a near-spiritual experience. 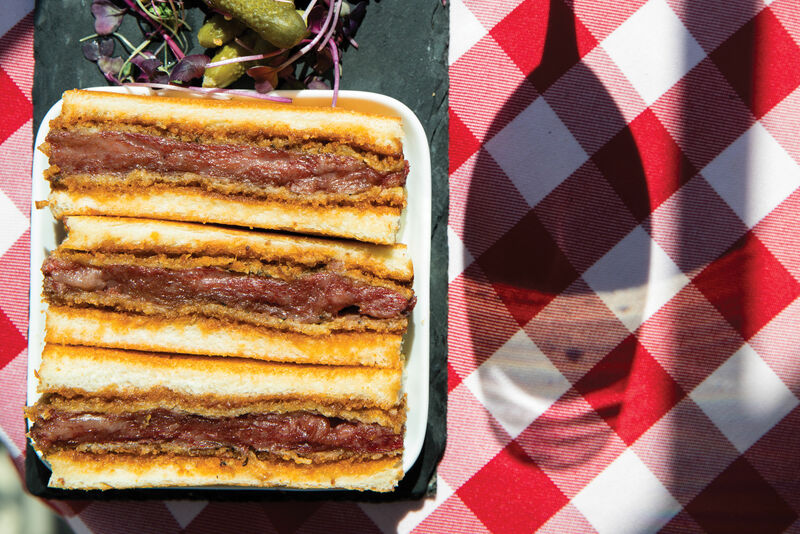 Four cuts, four butchers, and four restaurants you need to know about. A master discusses doneness, or lack thereof.